On the year-end review in 2014, we asked the students what they wished they could cook. You might be surprised to learn that Brussels sprouts weren’t high on the list. Instead, the answer that was repeated over and over was pizza. And who could blame them? A life filled with pizza is surely a more fulfilled life. What can beat the combination of crispy crust, melted cheese, tomato sauce and infinite toppings? So last Thursday, our first lesson of winter term, we decided to make Brussels sprouts…just kidding. To start things off, we had the kids take the dough (we had premade it) and roll it out to create the base for their personal pizzas. 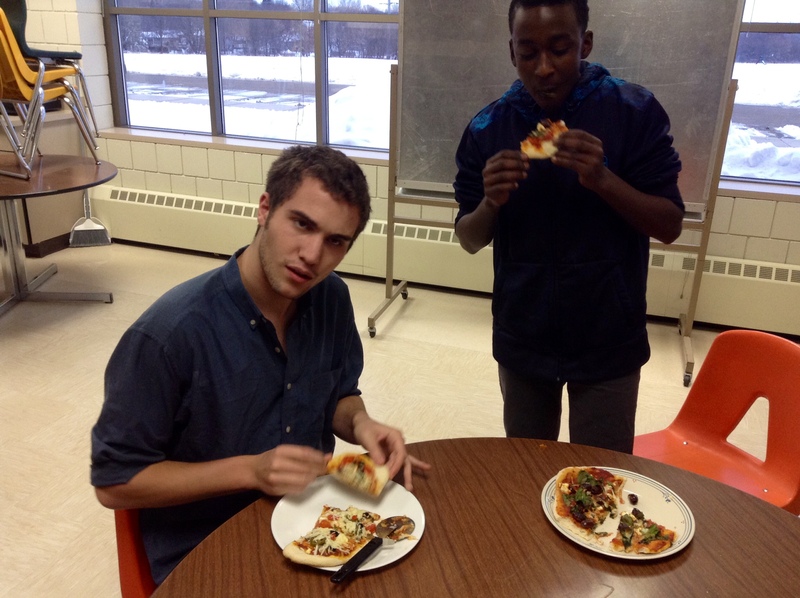 Some of the students, following the lead of the volunteers, tested their culinary techniques by tossing the dough as close as they could to the ceiling—results varied. Once the dough was ready, the young chefs were able to pick out an assortment of toppings to build their masterpieces. There were olives, cherry tomatoes, jalapeños (a big hit), onions, peppers, mozzarella, Parmesan, basil and other delicious vegetables. The kids were adventurous in their choices and the pizzas looked vibrant and colorful heading into the oven. 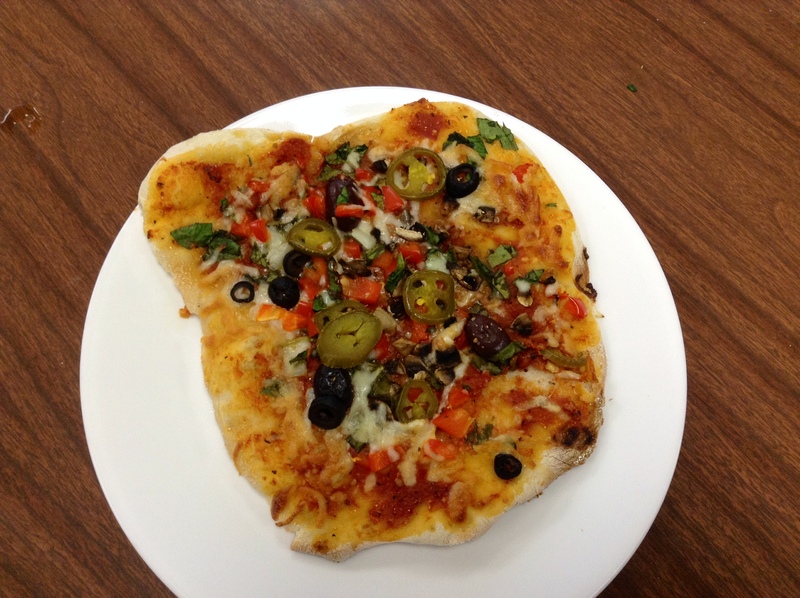 While the pizzas cooked, the kids had the chance to make their own dough to take home. They learned about yeast—that it’s alive!—and the importance of the little microorganisms to get the dough to rise properly. In addition, they learned about gluten and how kneading makes the dough stretchy on a molecular level. It was wonderful to hear all the students recall what they had learned about gluten and microbes in our steamed buns and salsa lesson plans. 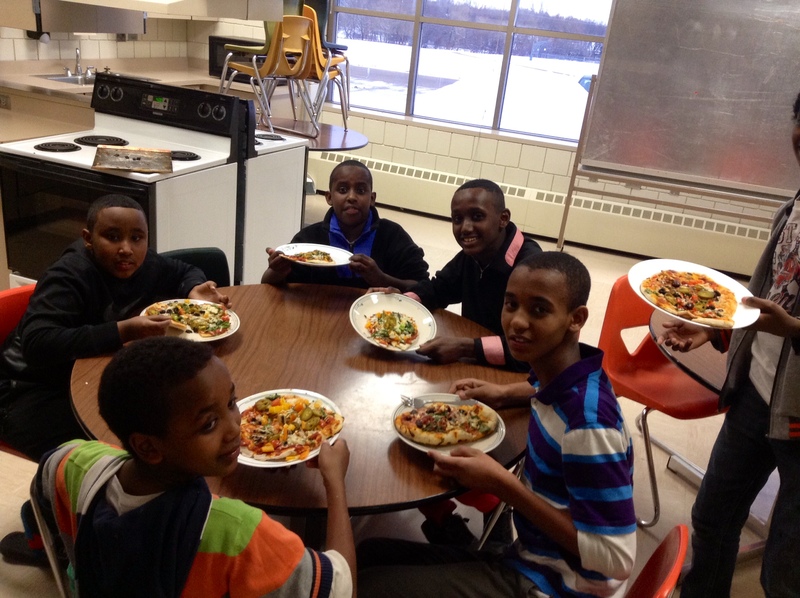 After the dough was made and hands were washed, the pizzas came out of the oven to eager students and volunteers. 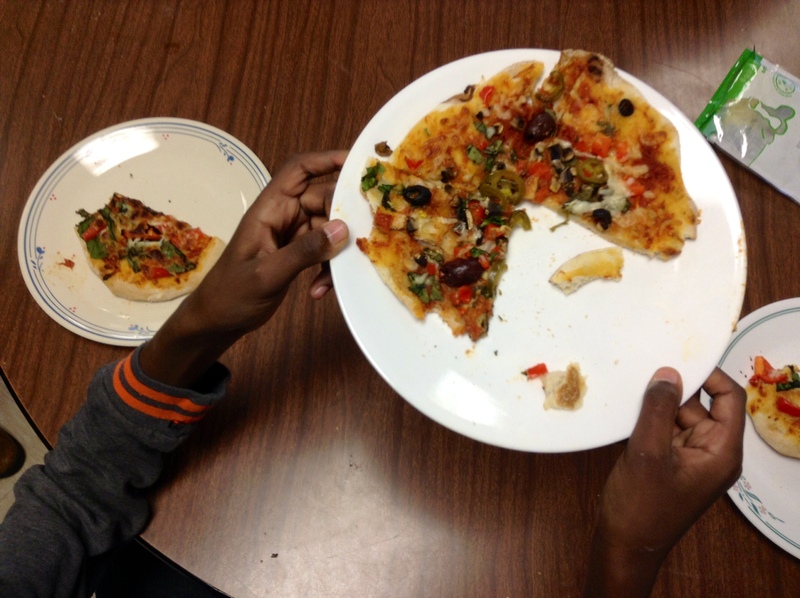 The kids traded slices with their friends, getting to try some with black olives or basil or peppers. And the best part, the kids brought some dough home with them so they could do it all over again!